Harvard University Press, 9780674640351, 209pp. This widely praised publication of the work of a key figure in the history of opera provides the most reliable version of the score for each opera, appending a translation of the libretto. 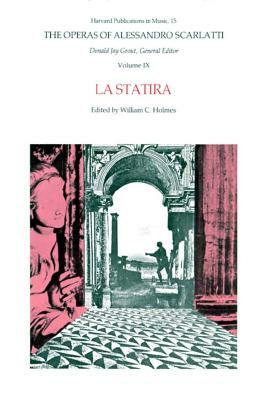 La Statira is the ninth opera available in the edition, which is under the general editorship of Donald Jay Grout. La Statira was first performed in Rome in January 1690, to inaugurate the carnival season for that year. The opera, with libretto by Cardinal Ottoboni, recounts the story of Alexander the Great's defeat of Darius, King of Persia, and his love for Statira, daughter of Darius. Alexander's bravery and magnanimity were favorite subjects of operatic librettists in the seventeenth and eighteenth centuries. In his Introduction, William Holmes sketches the opera's history and discusses performance questions.